Ci2013 SCHOLARSHIP WINNERS HAVE BEEN ANNOUNCED! 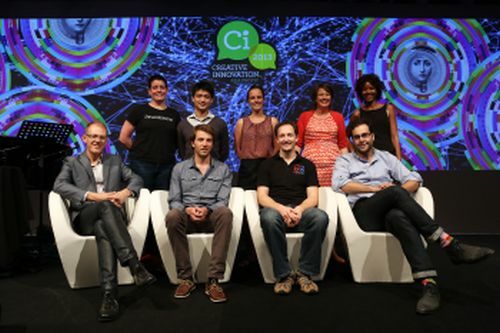 With a record number of outstanding applications received from around Australia, the selection panel has named 10 winners of the Innovation Leader Scholarships for Ci2013. Thanks to all applicants for the time and effort put into the scholarship applications. Special Congratulations to the 10 Scholarship winners below – each of which will receive a place at Ci2013 enabling them to meet and discuss ideas and issues with other creative thinkers and an opportunity to present their work to the audience. Anthony Aisenberg (VIC) – Founder of CrowdSpot which creates customised interactive digital maps for people to give input on geographic locations. Nkandu Beltz (VIC) – A young social pioneer, founder and director of YEPA (Youth Empowerment Program Australia). YEPA strives to establish a sense of ownership and belonging in youth communities while enabling them to become proactive leaders. Andrew Crowe (SA) – Co-Founder of Bioburner, an effort towards producing a low-emission cookstove for use in the developing world with emphasis on affordability, efficiency and ease of manufacture. Shane Greenup (NSW) – Founder of rbutr, a browser plugin which tells people whenever the page they are looking at has been disputed elsewhere on the net. Stephen Johnson (VIC) – Co-Founder of Eunev, the world’s first online market place for business events providing an end-to-end solution to find, plan and book venues and talent for business events. Katerina Kimmorley (NSW) – Co-Founder of Pollinate Energy, a social business, to provide solar lights and mobile phone chargers and smoke reducing cookstoves to urban slum communities in India. Ben Olsen (SA) – Founder of Re-timer sleep glasses, a device that helps maintain a consistent sleep-wake rhythm to maximise sleep quality. Gretha Oost (VIC) – Founder of Project O an enterprise that addresses plastic pollution by re-designing our water public habits in public spaces. Catherine Prosser (ACT) – CEO & Co-Founder of StageBitz, a global network for the entertainment industry to design, create, sell, hire, trade or giveaway sets, props and costumes as well as intellectual resources. StageBitz aims to radically improve the environmental & business sustainability of the arts. Zezan Tam (VIC) – Founder of Lifestock, a company working on cultured meat technology to feed the ever increasing global demand for animal protein in a more sustainable way. The Ci2013 scholarships will be provided to emerging leaders to prepare them for the challenges of tomorrow and help them access the decision makers across the economy and society. In this Race to the Future, what is your innovation or social enterprise to create a better future? Why is it necessary: what problem does it solve and how does it improve upon its predecessors? How are you implementing your innovation or enterprise right now, and how is it scalable? What is the biggest barrier you face in getting your innovation to become a reality? Who are you and why are you the person capable of creating the change you have identified? Creative Innovation 2013 is delighted to partner with a National Innovation Program – The Australian Global Impact Competition, that the Australian Institute for Commercialisation (AIC) is hosting on behalf of the Singularity University based at the NASA Research Park in Silicon Valley, USA. 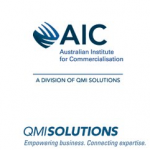 The AIC, with support from the Queensland Government and GBST Holdings have developed a national competition for entrepreneurs and high achieving graduate students to conceptually develop and apply innovative ideas to a range of national issues, including, energy, water, environment, health, food, security and poverty. The winner of this competition will receive a grant to attend the Singularity University 10-week Graduate Studies Program (GSP), which is designed for future leaders who want to build innovative solutions to global challenges. The winner will be exposed to investors, funding bodies and mentors who are part of the Singularity University alumni and will have the opportunity to pitch their innovative concept to other global winners with the goal of raising awareness and creating solutions for global problems. The winner will also receive one of the ten Ci2013 scholarships to attend Creative Innovation 2013.